Our Promise: Five Things To Count On With Our Firm We are proud to be a local law firm with a regional reach. We know that no two claims are alike, and that many of our clients have never worked with a lawyer before. That's why we approach every case with the following in mind: 1.You deserve to meet with your lawyer in person, and to get your questions answered and concerns addressed. 2.You deserve personalized, attentive service at each step of your case, no matter how serious or minor your injuries are. 3.You deserve to be treated with professionalism at all times. 4.You deserve to have your calls returned and emails responded to quickly. 5.You deserve to be kept up-to-date about your case. Alex is also admitted to practice in the state of Connecticut and before the District of Columbia Court of Appeals. He is a member of the New York State Bar Association, Albany County Bar Association and the Injured Workers Bar Association. Outside of work, For over twenty-five (25) years, Alex served as a National Collegiate Athletic Association (NCAA) Division I Ice Hockey Referee. On January 23, 1992, Alex reffed his 1st National Hockey Leage (NHL) game between the Toronto Maple Leafs and the New York Islanders at the Nassau Colliseum in Uniondale, New York. 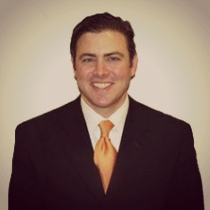 George joined the firm in June 2009 after serving as an Assistant District Attorney in Albany County. 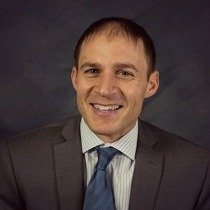 He received his Bachelor's degree from the University at Albany in 2000 and his juris doctorate from Albany Law School in 2003, where he served as the Executive Editor of Business on the Albany Law Review. Following law school, George worked in a large law firm concentrating in the area of Workers' Compensation Law. George's practice is now devoted to representing injured workers in their Workers' Compensation and New York State Disability Retirement claims. George is a member of the New York State Bar Association.